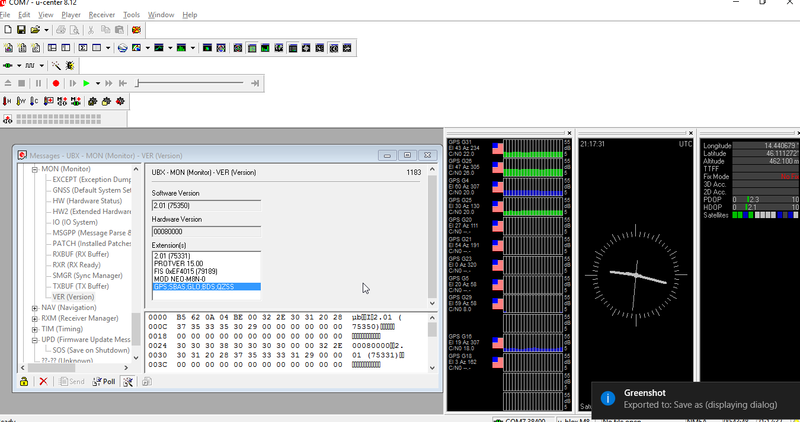 If you are using a NEO M8N GPS module you might consider updating the firmware to get more sattelite constellations available. The module, even if running from ROM image has onboard Flash which can be used to store an updated version of firmware. Get the newest firmware form uBlox official site. The newest version as of this moment seems to be 3.01. 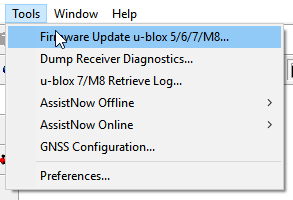 You will also need uBlox u-center software for updating the firmware. This can also be downloaded from uBlox website. First you have to connect to the GPS module by choosing the correct port and baudrate. 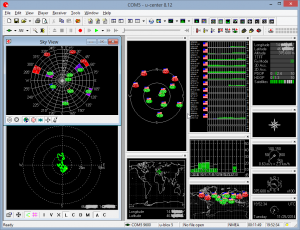 For more information on how to do this and how to configure the see this post. I suggest you to first check the existing version. You can do this by opening Messages window, navigating to UBX -> MON -> VER and pressing Poll button. Version information will be displayed in the window. You might also consider saving the existing configuration to a file. 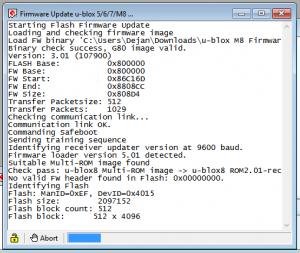 A firmware update window will appear. Under Firmware Image you should choose the firmware image you want to upload to the module. Under Flash Information Structure file you should find a file named flash.xml which resides in the u-center installation directory. 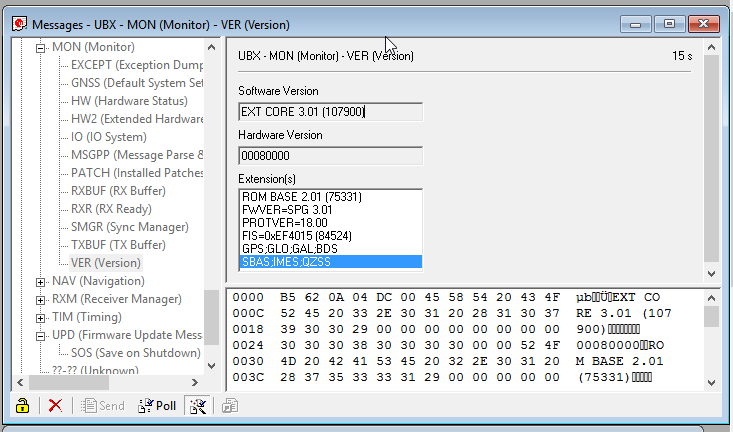 If your GPS module is connected using serial interface you should tick the Send Training sequence in order for the computer to detect the bootloader. 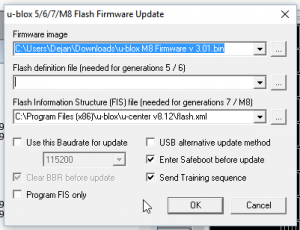 Also if you don’t want to wait to long to upload the firmware you can tick the Use this Baudrate for update check box. Choose the baudrate to be 115200, which is around 10x faster than the default 9600 baudrate. When you are ready click the OK button. If you didn’t change the baudrate, the bootloader will work at 9600 baud which gives whole 960 bytes of data transfer per second. 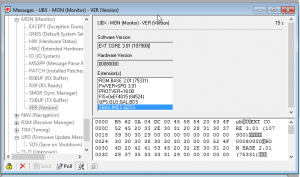 For a 500kB firmware update it will take roughly 10 minutes… If you did change the baudrate however the firmware update will be quite quick, taking only a minute or two. as the GPS is working after the upgrade? 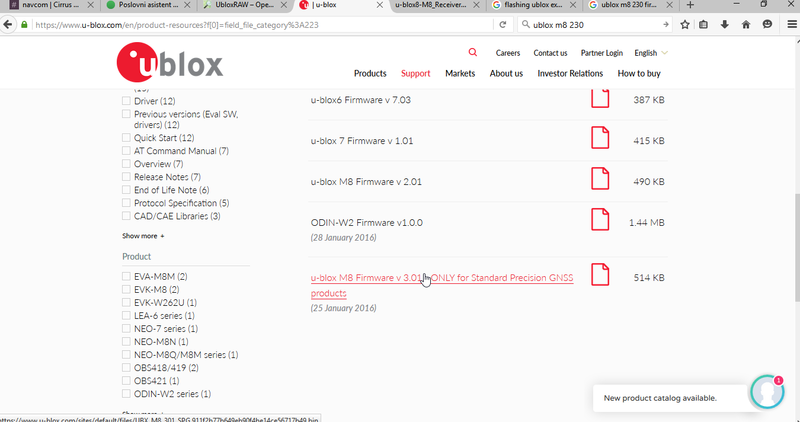 No firmware files can be found at ublox web site as of this moment!!! Not sure if the link works for all locations, firmwares should be under Product resources and then choose Firmware update under File category on the left. For some reason Glonass sat can’t be enabled. Hello, for me it seems to work ok out of the box. 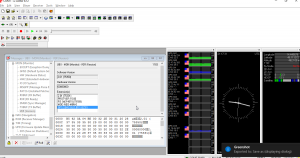 You can try checking in u-center under Messages->MON->GNSS to see which systems are currently supported and which are being used in location solution. Also satelites should be visible under Satellite Level History (Docking Window). downgrading from 3.01 to 2.01 with the given “UBLOX_M8_201.89cc4f1cd4312a0ac1b56c790f7c1622.bin” file is very delicate. 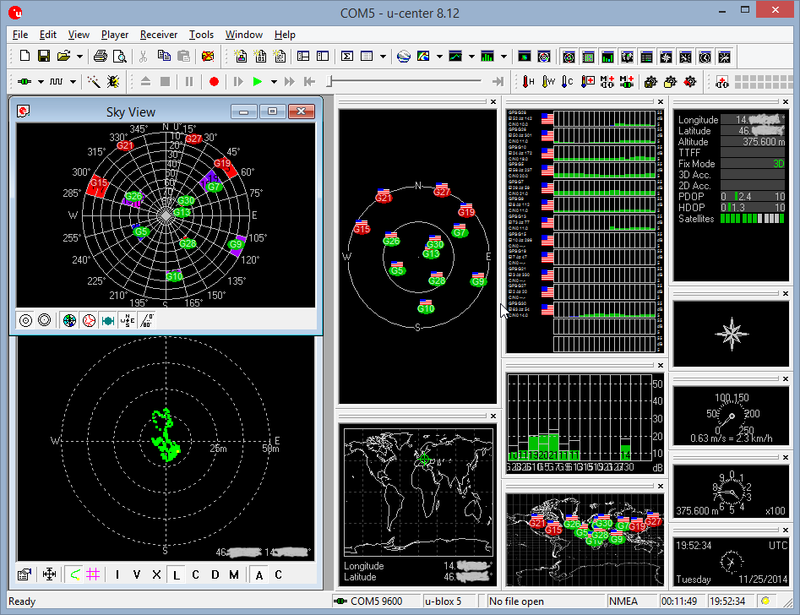 I can’t find the right GNSS configuration to work ( and save raw signal on a datalogger ) anymore. looks like the new FIS ( OxEF4015(100111)) makes the difference with the older one which worked . FIS 0xEF40145 (79189).